Bridal Inspirations, Creations and Style Tips by Shaunelle Ramesar. If I were a bride, maybe I would be a fruity one, literally. I’m an island girl and growing up in the Caribbean means you had the privilege of easily accessing lots of fresh fruits grown locally. You can climb the fruit trees at the back of your yard or find fruit stalls everywhere from the roadsides to the market. The market scenes always fascinated me because of the vibrant colourful display of fruits and vegetables, along with the random rowdy cursing by vendors quarreling with each other. As a kid during one of my annual July-August vacations (aka Summer) in St. Vincent, I remember I was in the Kingstown market with my grandmother, a fruit woman walked pass me. 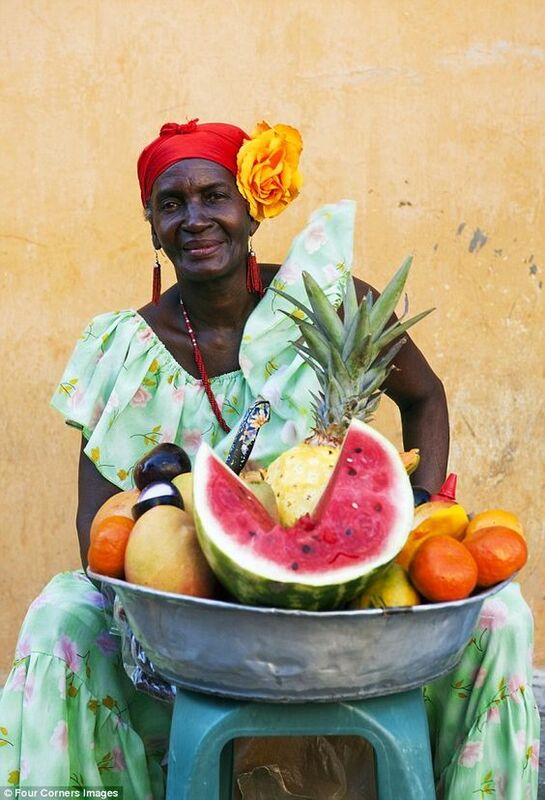 Her head was wrapped, the bowl resting comfortably on her head was filled with fresh fruits and she wore a mismatched but colourful homemade creole folk dress. Since then I could not escape seeing the fruit woman in all forms, from art paintings to the cliché fruit woman souvenir figurines. 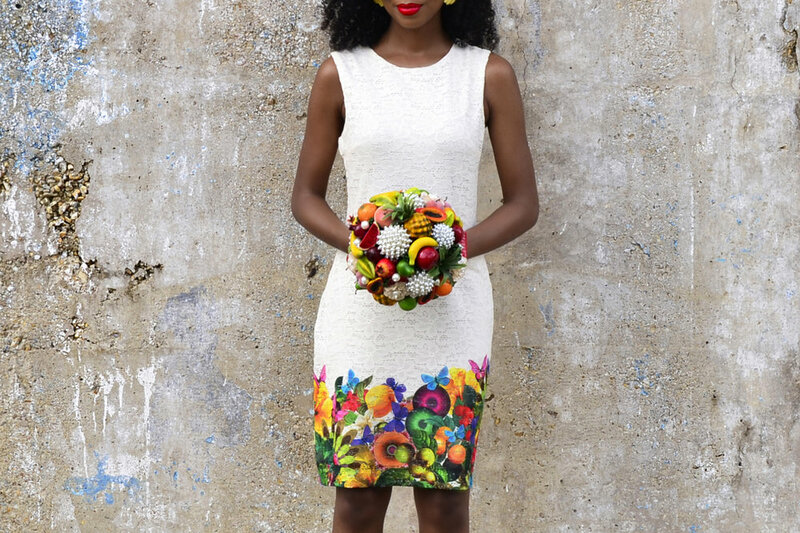 Perfect for an intimate or city hall wedding, this look can inspire the quirky bride that loves lots of colour. I think a bride’s wedding dress can be anything she wants it to be. It doesn’t always have to be a long traditional white gown, it doesn’t have to sparkle, it can be an inexpensive brandless dress or even a jump suit, it's all about the bride. So for this fruit woman inspired look, I chose a fruit print DESIGUAL dress from my closet, to translate the fruit woman idea in a modern way. My personal favourite banana earrings from COCOA VINTAGE by Crystal Antoine were the perfect ear statement and I added a pop of green with a pair of TRF-Zara shoes. Ensuring that every piece of accessory chosen, attracts attention. Every bride’s bouquet should reflect her conventional or unconventional style. 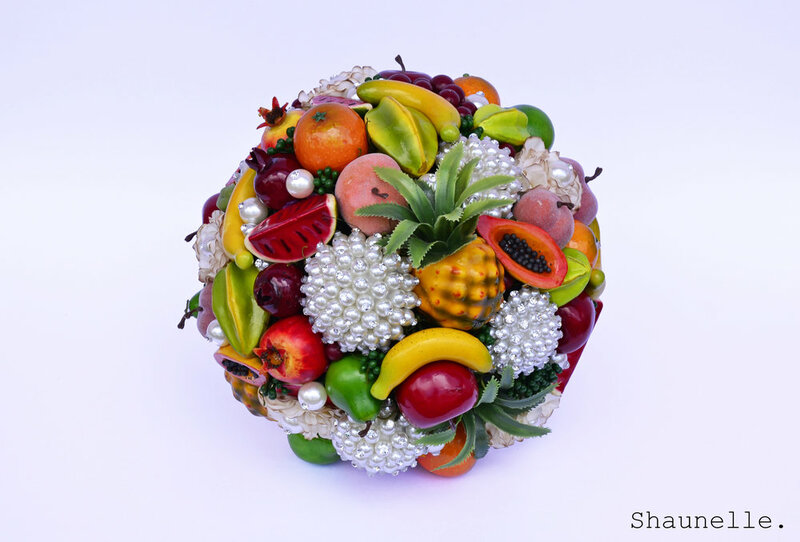 I’ve seen many versions of fruit bouquets for a bride but never have I seen a bowl of fruit translated into a bridal bouquet like I would do for myself if I were a bride - the Caribbean way. 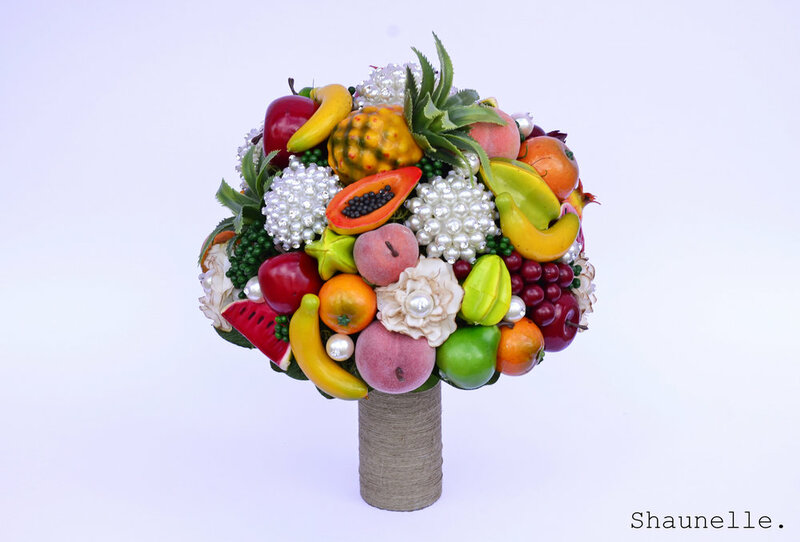 The bouquet features faux fruits accented with my signature pearl and crystal clusters alongside a meticulously arranged colour story finished off with a hemp wrapped bouquet handle. 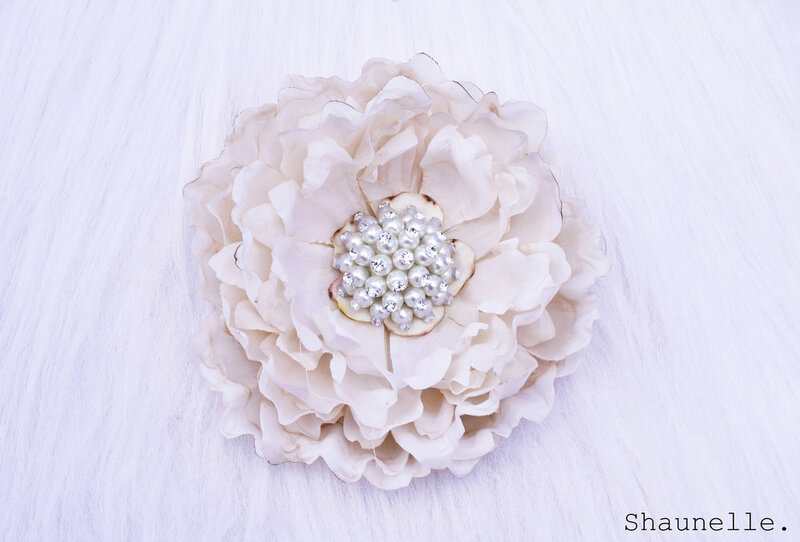 This one-of-a-kind keepsake bouquet is looking for her perfect bride! The silk flower headpiece imitates the big flower in the inspiration photo above. Replacing the birdcage veil it features my signature pearl and crystal clustered center design. If you're a gal that's confident in your quirkiness and would like to bring a quirky idea to life for your wedding day or a very special occasion get in touch! I love bringing unique ideas to life for awesome women worldwide. For FAQ's click HERE. Would you dare to express your quirky personality on your special day? Let me know what you think about the look in the comments! Is a bridal inspiration blog series to share the many ideas reflecting my many moods as a creative. If I were a real bride, with countless ideas and style options, I would have a hard time choosing!